ABOUT COMPANY & BUSINESS | Geniee,Inc. Tell me about the background behind the founding of Geniee. Our President and founder Tomoaki Kudo dreamed of being an entrepreneur since he was a child. During his high school years, Kudo felt that IT would change the world, so he decided to study computer science in college and graduate school. During his time as a student, Kudo started an IT company (SEO-related business). It was during this time that he felt that people's behavior could be changed by displaying information on websites. However, at the time, he didn't have a firm concept for growing his business into a large-scale firm with 1,000 or 10,000 employees so after completing graduate school he joined Recruit Holdings. Responsible for new business planning for online advertising, Kudo helped launch their ad network business. A new technology known as RTB emerged just around the time the ad network business began to take off. This marked the beginning of new innovation in the online advertising industry. Kudo founded Geniee out of the desire to create a company that develops and provides products that take advantage of advanced technology. Tell me about the reason for the company name Geniee. "The Geniee name is a combination of two ideas: genie (a magician who can make your dreams come true), and genius (a creative individual). "Any sufficiently advanced technology is indistinguishable from magic." The words of Arthur C. Clarke, a prominent science fiction writer of the 20th Century. Genius refers to the talent to exhibit creativity in the sciences, art, etc. The name GENIEE comes from our desires to be a company that uses advanced technology to create new value and change the world. At Geniee, we will change the world by allowing each individual to apply their talents and be professionals who are able to work magic. 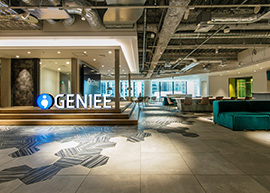 What does Geniee do as a company? Geniee is a company that develops and provides platforms for online ad distribution and marketing automation. Check our business information for details. What are the characteristics of Geniee (difference from competitors)? Geniee is unique for our technology development and business promotion capabilities. In particular, our SSP, DSP, DMP, and marketing automation products were all developed in-house and there are only a few companies around the world offering OEM development. We believe this exemplifies the high level of our technology development capabilities. For more details, check out our strengths and characteristics. What initiatives are you implementing to increase your technical capabilities? 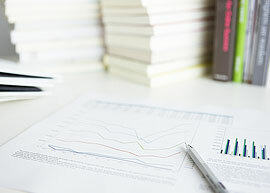 We conduct advanced technology R&D through workgroups attended by technology consultants, through collaborative research related to ad technology based on industry-academic partnerships, and we hold internal workgroups. and MAJIN as a one-stop solution together with GenieeSSP? Geniee offers uses the massive ad distribution data, knowhow, and customer platform cultivated through GenieeSSP to develop new products and services such as GenieeDSP, GenieeDMP, and MAJIN. The benefit is in allowing our services to be used not only by online media providers, but also by a broad variety of companies, including advertisers and ad agencies. By offering combined services featuring these products, we enable more efficient (reduced workload) and effective (data-based ad distribution and improved marketing accuracy) marketing activities. What is the Geniee operating environment like? The online advertising market in which Geniee operates is seeing annual growth propelled by expanding internet use. See our operating environment page for details on our operating environment. Tell me about your business model (income accounting framework). Geniee sales are mainly comprised of two elements: ad listing fees we receive from advertisers based on the number of ad impressions and usage fees we receive as monthly payments, etc., for the use of our systems and services. Check our business model page for details on our business model. As of the end of September 2018, on a consolidated basis we have 264 employees. Tell me about background behind your capital partnership with the SoftBank Group. 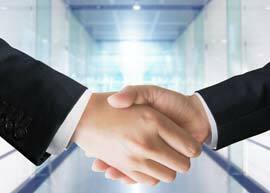 We formed a capital partnership in November 2014. The SoftBank Group was looking to enhance its digital platform and Geniee had an established record of success in the SSP business. Since October 2016, we have been providing OEM-based SSP and PMP for the SoftBank Ads Platform. Why did you expand operations beyond Japan so quickly (3rd year since founding) into overseas markets? What operations are you conducting overseas? We provide GenieeSSP and other online media services to local companies. Tell me about future business expansion. Geniee applies a two-pronged strategy towards business expansion: 1) Expansion of business domains (core businesses) and, 2) Expansion of service provision areas (core regions). As core businesses, we are working to expand from the ad technology domain to the marketing technology domain. We will apply the massive ad distribution data, customer platform, and cumulative ad management knowhow cultivated through our mainstay business GenieeSSP to expand market share for GenieeDSP and MAJIN. At the same time, we are working on the development of new functions and new services. As core regions, we will enhance our global development structure, client development, and new market development with a particular focus on the Asia region. Check our growth strategy for details.